We bought our home about two and a half years ago, and the only reason we could afford to buy in our area is because the house was mostly a wreck. 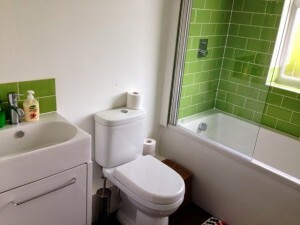 The only room that didn’t need major work is the ensuite bathroom in the loft conversion. As it is the guest room, and on the second floor, we do not use this bathroom very often. But every once in a while I go up there and look at it in dismay. It is just not to my taste. It is so beige and blah. So I decided to see if I could give it a mini-makeover for just £70. 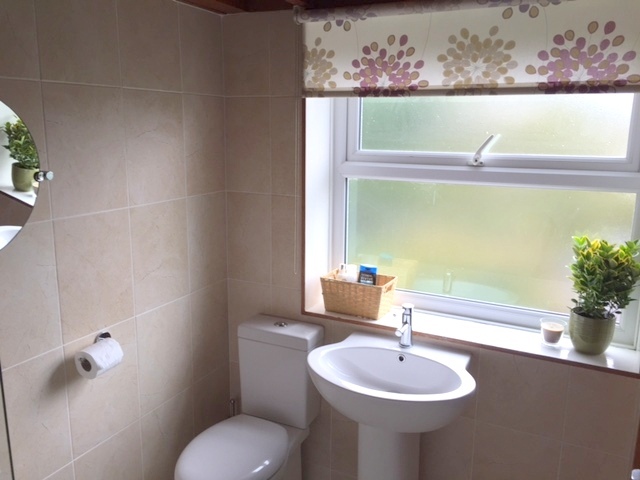 As you can see, the bathroom is quite neutral. Unfortunately, I am not a fan of cream. I like things white and bright. And I prefer things squarer shapes. And look at that sad, and dying, plant. Ugh. 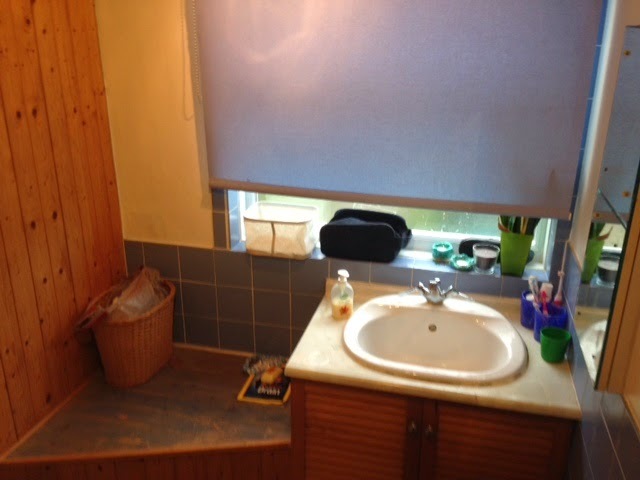 It’s not the nicest bathroom for guests. 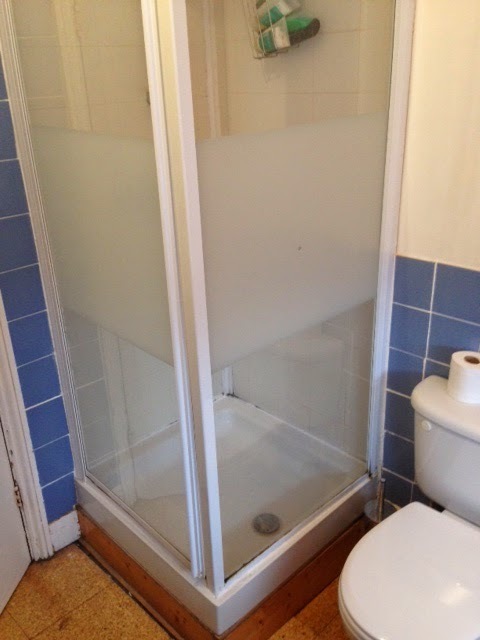 The main problem with this bathroom is that there isn’t a bath screen on the tub. 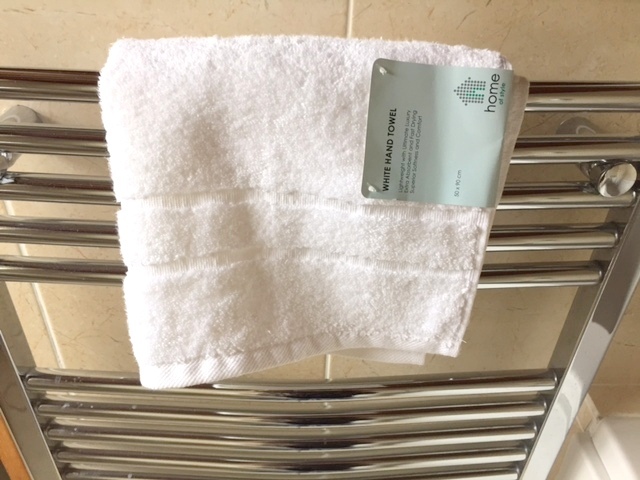 It’s fine if you are having a bath, but most guests have showers which makes the bathroom very wet. 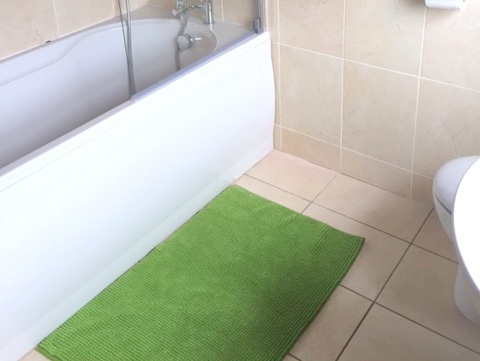 So we decided to install a bath screen and add some nice accessories. 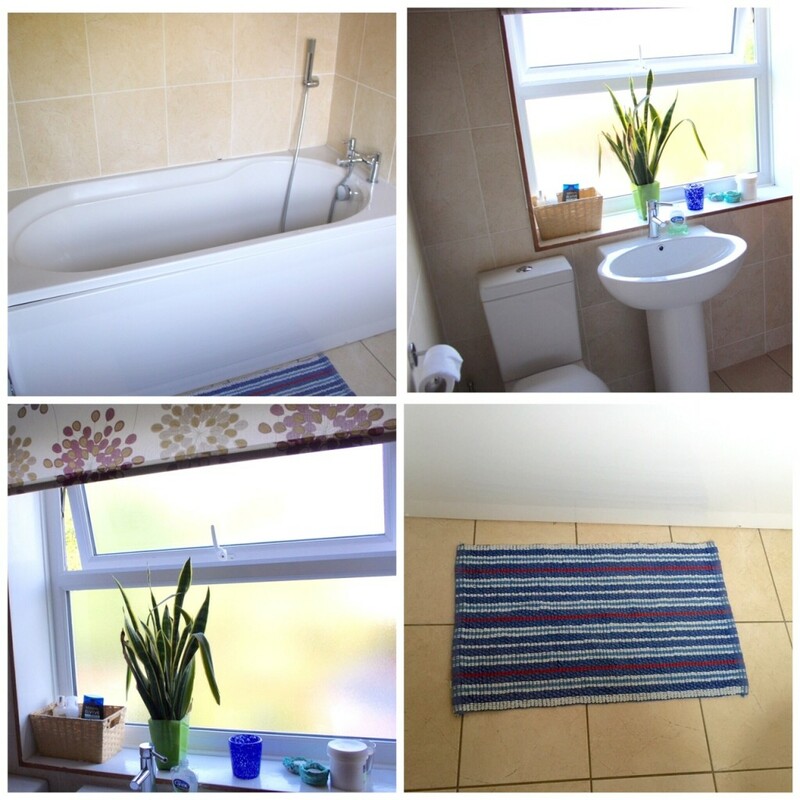 We can’t afford to do anything about the tiles, but I have tried to brighten up the room. 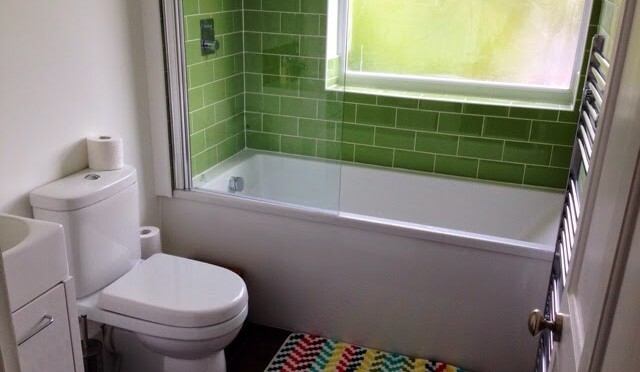 There is quite a bit of green sprinkled throughout the house, and I wanted to bathroom to also have green accents. 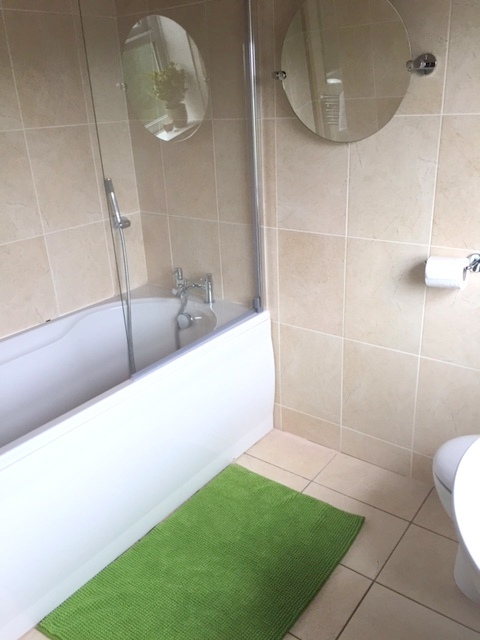 I replaced the tiny blue bathmat for a large green mat from Ikea. It is super soft, and was a bargain at £5.99. 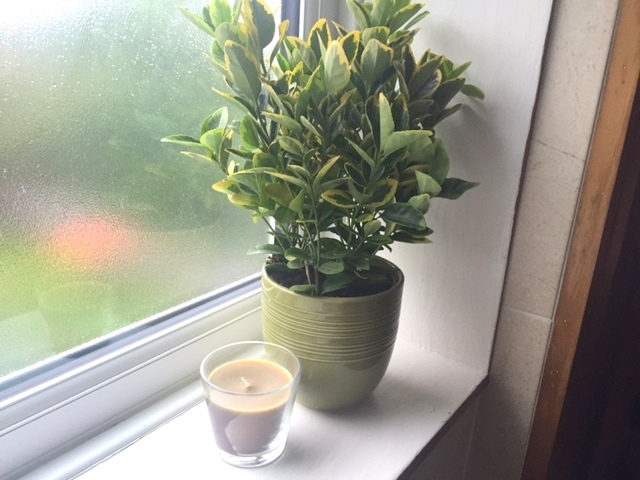 I popped into my local Homebase last week and found a lovely little plant to cheer up the ledge. I had an old green pot that wasn’t being used. While at Homebase, I also picked up some fluffy white hand towels. I love white towels. It might not sound practical, but I do. 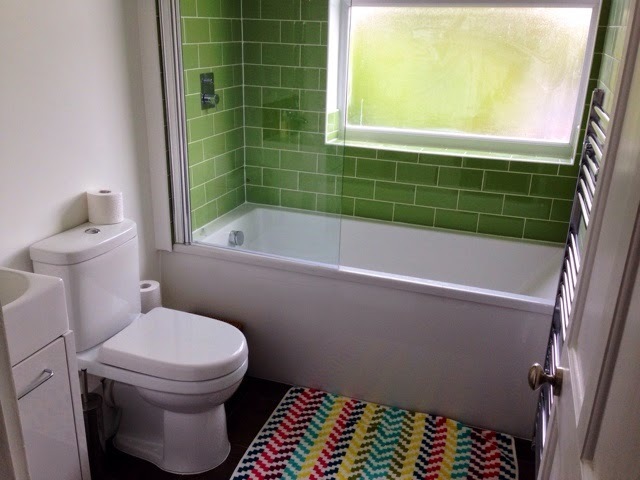 Last, but certainly not least, we put in a bath screen. I had expected the screen to be much more expensive than it was. It was priced at £54.99, but is now on sale for £43.99. It looks to be of a very good quality. The screen arrived last week and Husband (who works in an office but likes to give DIY his best) put it up on Saturday without any problems. The bathroom looks so much better now. 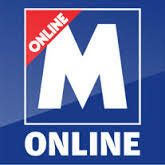 I wish we had done our mini-makeover sooner. What do you think? We were reimbursed by Homebase for our purchases, but all opinions expressed are entirely my own. 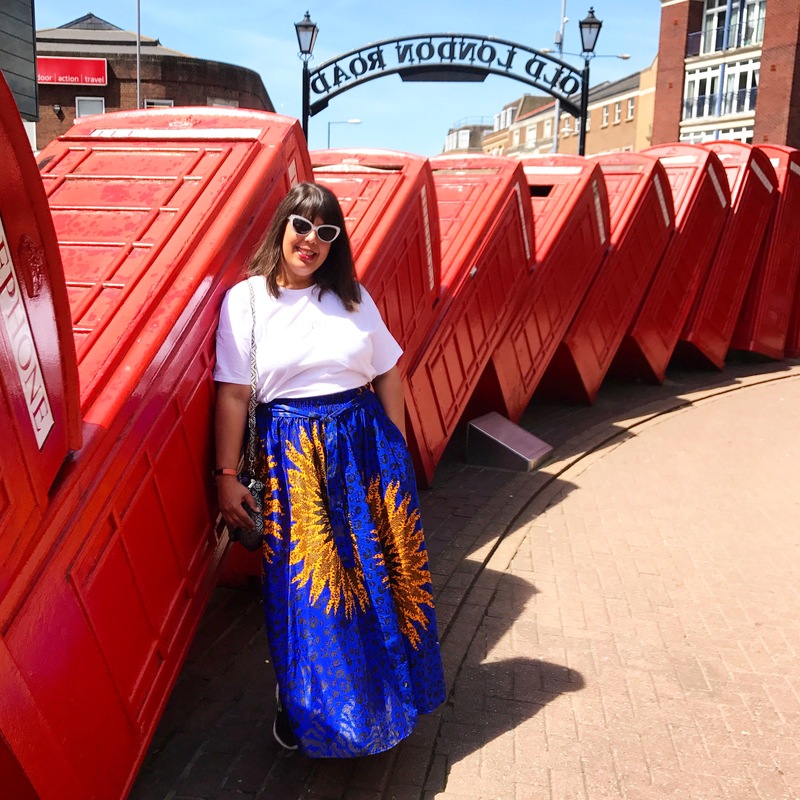 I took the Great British Home Quiz and it determined that my home style was Quirky Cool. I was quite pleased with this. I love mixing vintage and contemporary, and love light, airy spaces and vibrant accessories. 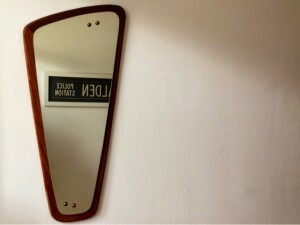 We are decorating our house in a mid-century modern style so I am trying to keep things simple and bright, but with a retro feel. The renovations on our first-floor bathroom finished two days ago. I will wait a few seconds for you to ‘ooh’ and ‘ahh’. 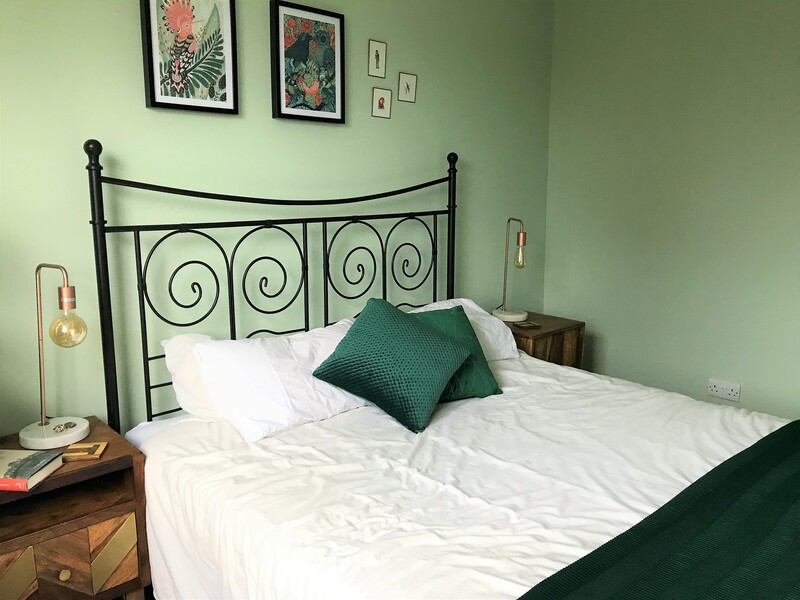 We bought our 1890s terraced house last year and have been slowly fixing one room at a time. The first-floor bathroom did not have a bathtub, and we wondered if we could even get one to fit. 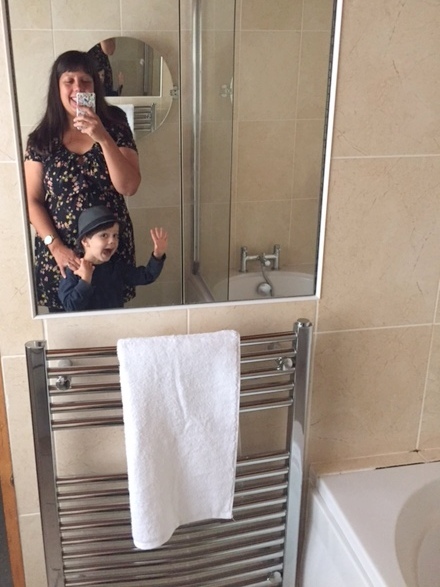 Although the bathroom on the second floor has a bathtub, it was inconvenient to go up and down the stairs with two kids (one a baby then toddler). The previous owners renovated the house in the 1970s, which isn’t the decade known for the best style, plus they were really big into pine. 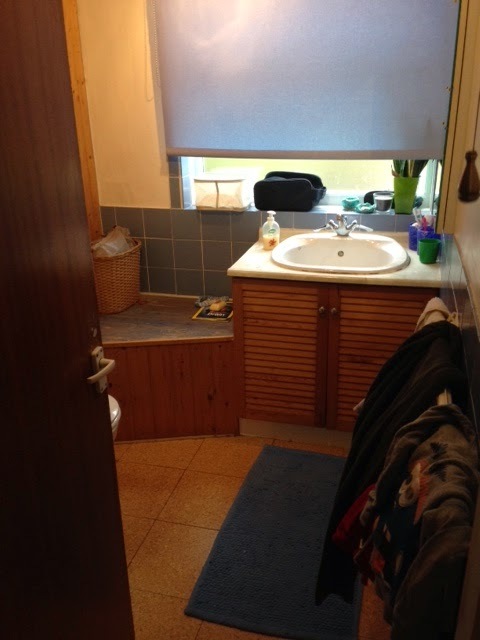 The first-floor bathroom is small, but made smaller with all of the boxing. 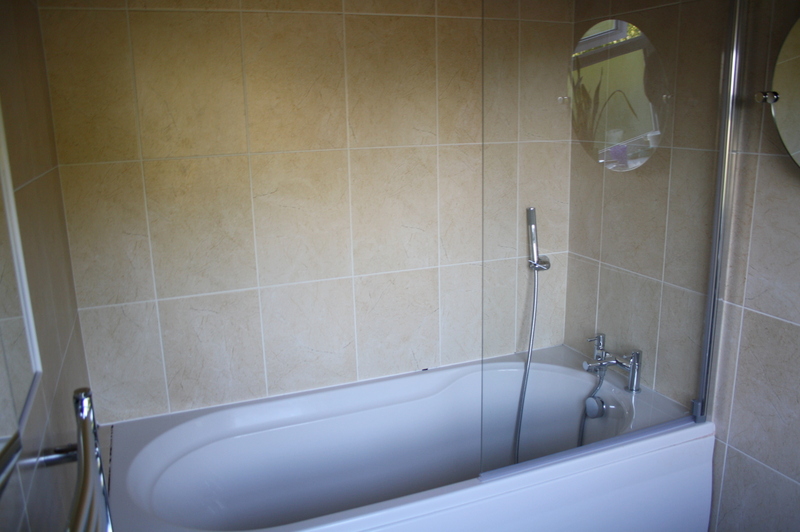 We have, amazingly, managed to squeeze in a normal size bathtub, and now have a nice family bathroom. I got a funky bathmat but still need to find a simple shelf, a mid-century mirror (similar to what we have in our hallway) and a cool piece of art. This means I will be hitting some charity and second-hand shops to finish the look. 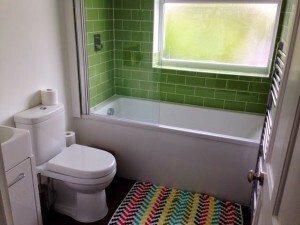 What do you think of my new bathroom? Take the quiz and let me know what your home style is. 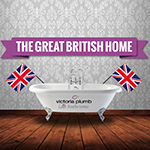 This post is an entry for the #GreatBritishHome Challenge sponsored by Victoria Plumb, a source of quality bathrooms for every type of home. Take its ‘What’s Your Celebrity Home Style’ quiz to discover what your home says about you.